There may be some money to be made here. How can you predict the ending price? IMO, this lot is worth right about 2000-2500 if pieced out and sold at the right time, on an auction site like RR Auction, not eBay. If that is the case, that there is a nice sketch of the double helix, the broken down auction value of this lot goes up to closer to 4000 (see breakdown below). All of the below amounts are based on history auction figures on RRAuction.com. Yes we all know the market fluctulates, so I tried to give an average low-high estimate for the items listed in the auction and what they have brought thru RR's Auction site. There does not appear to be an individual scan/photo of the Watson scan, which is strange is that's where the bulk of the value is. Regardless, I'm digging the Chagall signature. Haha i was thinking the same 2 things. "Pictured here are only 12 photos (Ebay only allows a maximum of 12 photos)." 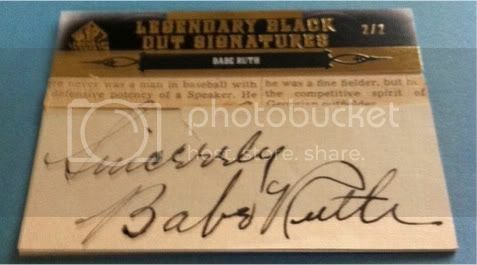 The Watson sig really intrigues me as I just finished a book that had an entire chapter devoted to him. "A Short History of Nearly Everything"..........awesome read!!! !